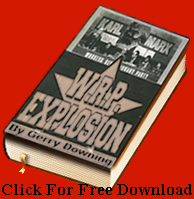 Left-wing anti-semitism is a contradiction in terms, it is a bogus category; it does not exist! 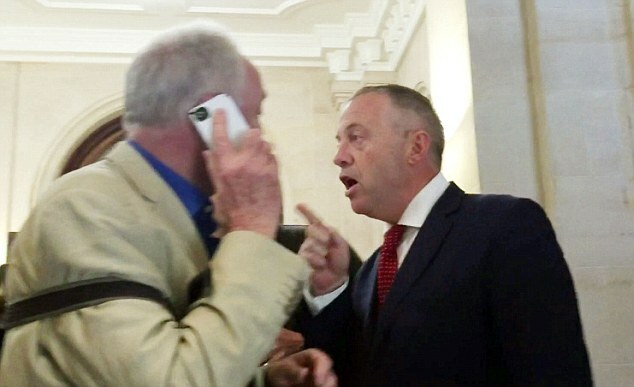 Ken Livingstone, anti-Zionist Palestinian supporter, is confronted by the right wing Blairite Zionist-sympathizing bigot John Mann MP. Livingstone, who said nothing, is suspended, Mann, who verbally assaulted and physically menaced him, gets off with a caution. What is anti-Semitism and what is anti-Zionism? The source of the current witch hunt against the Labour left is the far right blogger Guido Fawkes (aka Paul Staines) and Zionist organisations like the Jewish Chronicle and then it is pursued by David Cameron and right wing Blairite MPs like John Mann and Wes Streeting. For them it is essentially criticism of the actions of the state of Israel against the Palestinians. In fact Jonathan Arkush, the president of the Board of Deputies of British Jews, thinks genuine anti-semites, those who celebrate the Holocaust and would like to do it again, are to be preferred to those who defend the Palestinians today. I was reinstated on appeal at the end of November as my appeal was accepted as they told me my case was review by a “different NC panel”. I was expelled again on 9 March two hours following a question by David Cameron to Jeremy Corbyn during Prime Minister’s Question time, prompted by an article by the right wing Tory blogger Guido Fawkes. There was no hearing and the expulsion letter excluded any right of appeal under the very undemocratic structures set up by Tony Blair. I have never done or said an antisemitic thing in my 40 years of leftist political activity. Really? The fascists that infest the Ukraine government, the only state in the world that honours its Nazi collaborator, Stepan Bandera, who fly their Nazi-era emblems proudly today, who do not deny the Holocaust but celebrate it and want to do it again, are better in the considered opinion of Arkush than left-wing supporters of the Palestinians whose sympathy for them sometimes leads them to go over the top in condemning their oppressors. And then there is Ken Livingstone. Following the hounding of Naz Shah MP for anti-Israel remarks, Livingstone stepped in to defend her. In the course of his defence he said: “Let’s remember, when Hitler won his election in 1932, his policy then was that Jews should be moved to Israel — he was supporting Zionism … This was before he went mad and ended up killing six million Jews”. He also said that Hitler’s policy initially was to deport Germany’s Jews to Israel only. Zionist leaders “had secret meetings with his administration talking about that”. Lansman has added to the anti-Semitism witch hunt by accepting its legitimacy and attacking Ken Livingstone. Lansman had instructed local Momentum groups to cease any public comments or debate on the issue surrounding Ken Livingstone’s suspension from the Party and then felt free to make the above comment himself, displaying his total contempt for the democratic structures he was supposedly preparing for Momentum. Infamously right-wing Blairite MP John Mann MP verbally assaulted Livingstone and physically menaced him for telling these truths, accusing him of being a Hitler apologist. Outrageously Livingstone was suspended from Labour following this assault and Mann got off with a caution. Lansman wrote an article recently called: the left should stop using the word “Zionism” (i.e. stop criticising the ideology behind the murderous assaults on the Palestinians) and has written “discussion articles” for the racist Jewish Chronicle. But now the net widened. Jackie Walker, a central leader of Momentum and a mixed Jewish/Black race person, was suspended at the behest of the Zionist bigots that run the Jewish Chronicle. Livingstone was convicted of telling the Truth and now she faced the same fate. A wealthy section of the Jewish bourgeoisie with control of bank capital (“moneylenders”) provided much of the finance for the slave trade. That is a historical fact. And read Abram Leon’s book The Jewish Question, A Marxist Interpretation to understand why and how this occurred historically. But understanding this or even voicing the historical facts is now a crime in the Labour Party that gets you stigmatised as antisemitic. Jackie Walker has since been reinstated following a vigorous campaign on her behalf by the LRC and Momentum. Wolfstone’s bid to replace Livingstone failed because right wing Labour ex-leader in Scotland, Jim Murphy, stopped her. Wolfstone has been subjected to outright antisemitic attacks from the far right and fascists since then, as you will see if you google images for her name, which we absolutely condemn. But the tale has a bizarre twist. Livingstone was removed from the National Committee ‘left’ slate and replaced by Rhea Wolfson. She has now been shafted by Labour right winger in Scotland, ex-leader Jim Murphy. He intervened to make sure she did not get her own CLP nomination in Glasgow Eastwood. She says here she was endorsed by the Jewish Labour Movement. That’s Poale Zion (Zion’s Workers), as was, the British affiliate of racist Zionist Israeli Labor Party who carried out the Nakba, drove 750,000 Palestinians from their homes, destroyed 400 villages and kept those who remained under Martial Law for 18 years. And would do yet more of land theft and mass murder if they got the chance. She is a Zionist. But apparently a leftist one and so the Labour right and rightist Zionists are going for her because Momentum endorsed her. Leftists should not have voted for her anyway. Defend Jackie Walker, Tony Greenstein, Ken Livingstone, Gerry Downing, Naz Shah and all the Muslim Labour Councillors and every other victims of this racist Tory, Blairite right Labour, Zionist Labour Friends of Israel and the Jewish Labour Movement against these attacks. « Victory to the defenders of Fallujah!